Dr. Susana Kulangara is a Tampa native and is an alumnus of King High School which is not far from the practice. She received her Bachelor of Science from the University of Miami and then went up north to complete her dental studies from the Boston University School of Dental Medicine. Following dental school, Dr. Kulangara completed a rigorous 3-year residency program in Prosthodontics at the Washington D.C. VA hospital, which is also in conjunction with the Navy Post-Graduate Dental School. Prosthodontics is an accredited dental specialty that focuses on the aesthetic and functional rehabilitation of the mouth. Here, she learned how to do complex and challenging cases using crowns, bridges, veneers, dental implant tooth replacement and implant-supported complete and partial dentures to rehabilitate her patients. From there, she moved to New York City and worked at the Brooklyn VA Hospital where she became proficient in cosmetic as well as surgical procedures such as dental implant placement. In addition, Dr. Kulangara was an Associate Clinical Professor in the Prosthodontics Department at New York University. She is an active member of the American College of Prosthodontists, Florida Prosthodontic Association, American Academy of Implant Dentistry and the ADA and FDA. 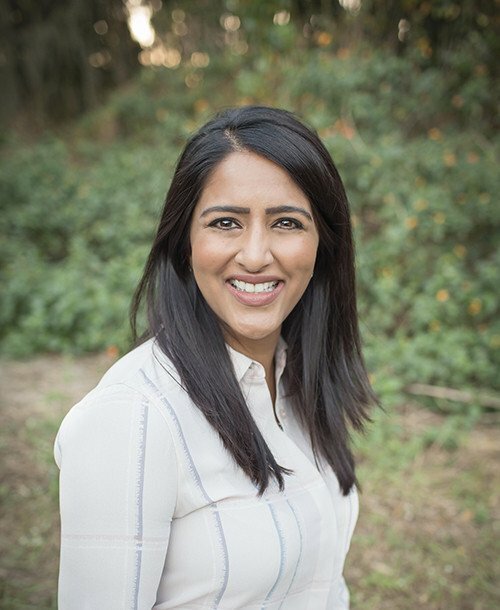 Dr. Kulangara moved back to her hometown of Tampa in 2012 and strives to provide the highest quality of dentistry while putting her patients at ease with her warm and caring personality. She is excited to be able to re-design smiles and make her patients look and feel the best they ever have. While away from the office, Dr. Kulangara and her husband Javit enjoy being spending time with their children Jaya & Veer, trying new restaurants and recipes and traveling any chance they get. Dr. Kulangara loves community events and looks to support local businesses in and around Tampa.